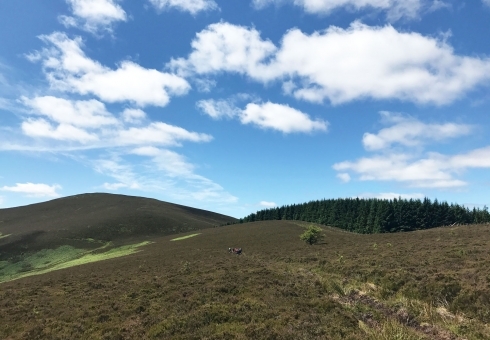 Leave behind the greens, blues, reds and blacks in favour of the colours, sights and sounds of the surrounding Tweed Valley. 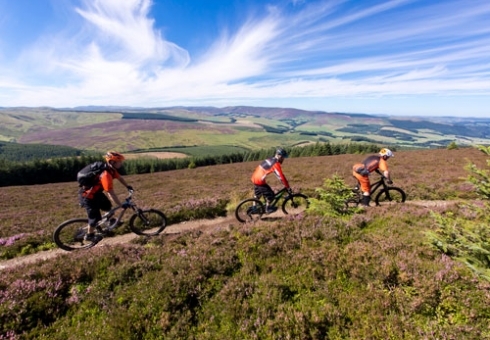 We’ll take you on an adventure around the area that surrounds Peebles and Innerleithen on a challenging, more technical day out. Prepare for a big day out with any other equipment that promotes your comfort. The Technical Trail Finder (TTF) routes are generally around 35km – 45km with long climbs and descents across the route. This means you will have to have a good level of fitness to take part. The profile of the rides are more like the profile of an Enduro race. Constantly climbing to descend. Take a look at some prerequisites we recommend before considering a TTF ride. 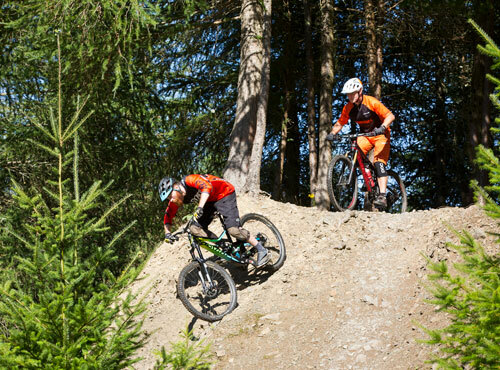 You should have a very good level of fitness on a mountain bike. You should be very comfortable on red trails and riding blacks with regularity. You should be able to ride roll offs, drop offs, roots and rocks. You should have a very good idea of your energy levels during the activity. You don’t have to be able to read a map, but we might show you one? Our experienced guides will lead the way and make sure you take in the local sights as well as the best natural routes available. Please contact us if you have any questions regarding our TTF rides. Suitable MTB in good working condition, helmet, gloves, rucksack, refreshments & food, spare clothes / layers, waterproof jacket, suitable outdoor clothing, tools and spares. Prepare for all day remote riding and prepare accordingly. Sessions are on hand picked trail in the Tweed Valley. Speak to us at the time of your booking. Multiple day point to point expeditions to half day local blasts all possible. Just ask us as the time of booking. We guide on a maximum ratio of 1:8 people on our guided rides for your safety and in line with industry standards and insurance guidelines. For larger groups get in touch to discuss your needs.